Alyshia acts as a liaison between SCORR and its clients, partnering with our internal teams to drive strategy and ensure on-point, on-time and on-budget execution. 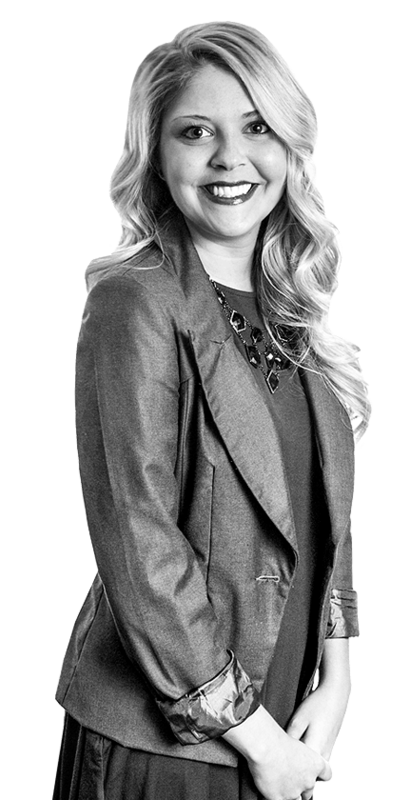 Alyshia has developed strategic marketing plans, integrated tactical plans and built brands for health science organizations including endpoint, MAC-MOD Analytical, Nutrasource and WellSpring. A consummate professional, Alyshia brings a positive, bubbly attitude to every project to ensure it’s done right the first time. Alyshia loves anything pink. That also applies to living creatures, as she used to show pigs throughout the Midwest and now dresses her dog, Oaka, in pink sweaters. You can usually find her zipping around town on her pink moped, playing volleyball and binge-watching shows on Netflix. I am your Organized advantage.